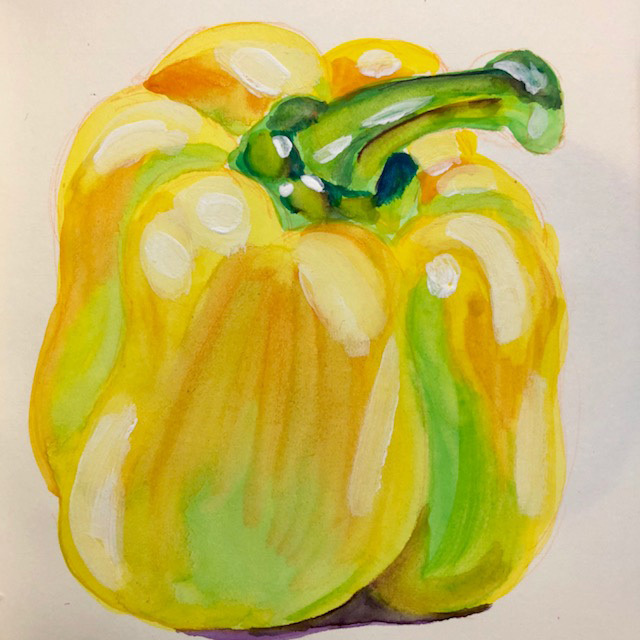 #26 - One Year/100 Paintings - Yellow Pepper - Grumbacher Opaque Watercolor. The second of three pepper paintings that I made while having coffee and breakfast at McDonald's on a Saturday morning a few weeks ago. Painted from Morgefile.com reference photo.